The 2018 Debmarine Namibia Cup quarterfinals on Friday and Saturday will take place at the Sam Nujoma Stadium in Windhoek. Top premeier lseague teams that include African Stars, Eleven Arrows, Unam , Black Africa, Golden Bees, Blue Waters, Tura Magic and Civics booked a spot in the quarterfinals. Based on the draw conducted last weekend, Civics and Tura Magic will now faceoff on Friday night football at 19h00 and on Saturday there more games will be played. At 15h00, Golden Bees will confront Black Africa before UNAM and Blue Waters clash at 17h00. The final quarterfinal match will be between Eleven Arrows and African Stars at 19h00. Entrance tickets for this weekend’s action are available on Computicket for N$ 30 each. The winners will advance to the semifinals to be contested on 12-13 May to decide the last two sides to meet in the Final on 26 May 2018. The overall winners will walk away with a cheque worth N$500,000 while the losing finalist receives N$ 250 000 and each losing semi-finalist gets N$150,000. All individual awards will amount to N$95,000, that includes N$2000 for the best player of every match leading up to the final. 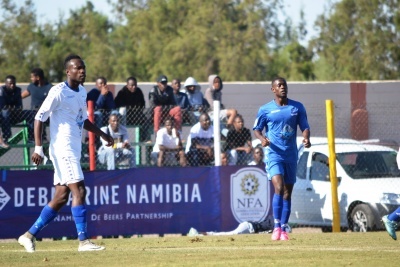 Each Man of the Match also get to choose a charity organization of his choice that will receive N$ 2000 from Debmarine Namibia as part of giving back and enriching lives beyond the field of play.